One special aspect system going on on 301th August is the one drawn above. 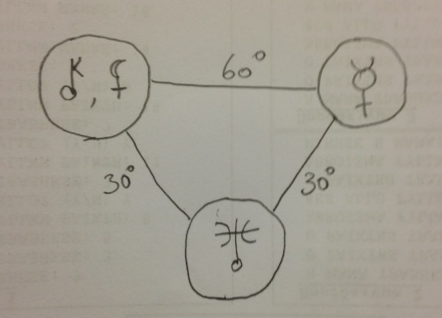 Chiron and Black Moon, are sextile to Mercury. Mercury at the same time is semi sextile to Uranus. Uranus is semisextile to both Chiron and Black Moon. This combination can be seen as causing a circulation of energy which in effect one cause the other in a circular fashion. This in my opinion is good as it can cause double earthquakes hence of reduced force, and maybe tripples. We will see what brings along. Finally NEPTUNE is semisquare Uranus, so be careful of sudden storms.